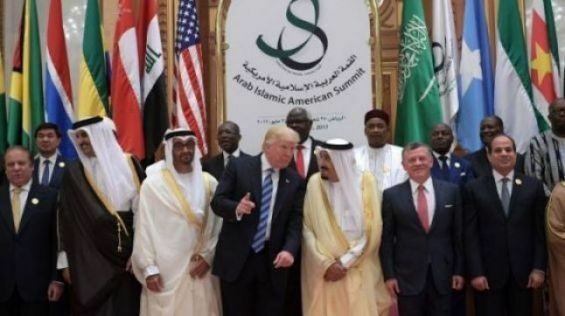 Morocco was not invited to the meeting held yesterday, 12th of September, in Kuwait to discuss the Middle East Strategic Alliance (MESA) project, initiated by US President Donald Trump. Military leaders from Saudi Arabia, the United Arab Emirates, Bahrain, Qatar, Oman, Jordan, Egypt and the host country participated to the meeting, reported KUNA news agency. Washington, which is paying close attention to the project, sent General Joseph Leonard Votel, a four-star general in the United States Army who has been commander of United States Central Command since March 2016, to attend the meeting. Donald Trump is reportedly planning to attend in October in Washington the first meeting of the «Arab NATO» members. His idea was to gather Arab Gulf leaders in Washington to create a military alliance against Iran, informally dubbed the «Arab NATO». Initially, a similar project was made public by Saudi Crown prince Mohamed Ben Salmane in 2015, during the Yemen war.